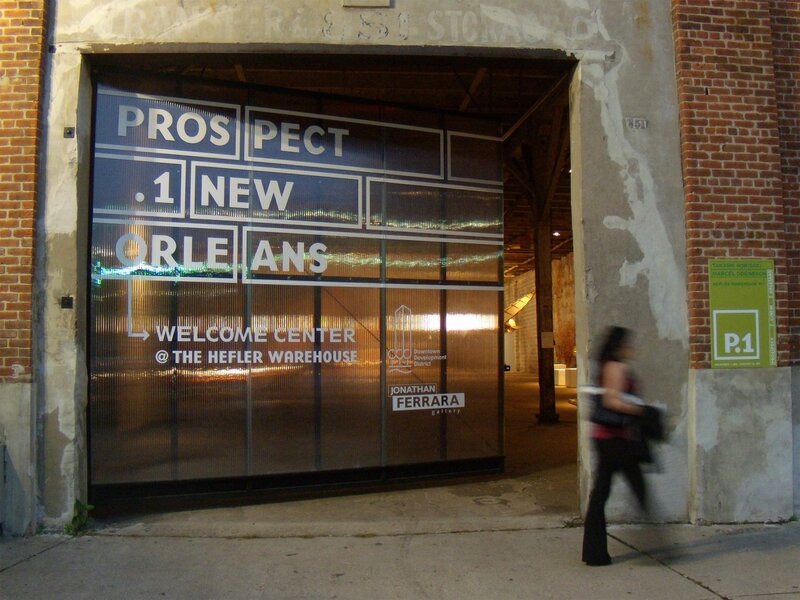 Prospect.1 New Orleans [P.1], the largest biennial of international contemporary art ever organized in New Orleans, exhibited 81 artists in museums, historic buildings, and found sites throughout the city. 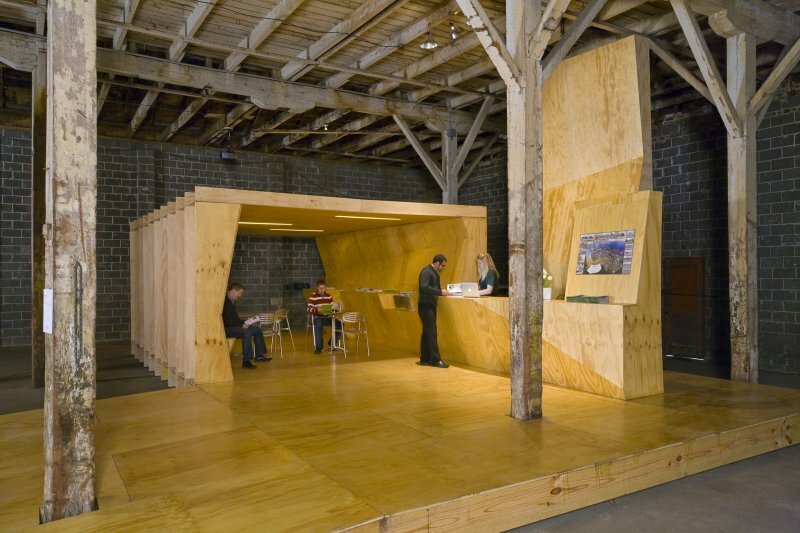 The Welcome Center for P.1 was housed in one of these found spaces—the historic Hefler Warehouse—and served to orient visitors and the press to the city and the biennial. 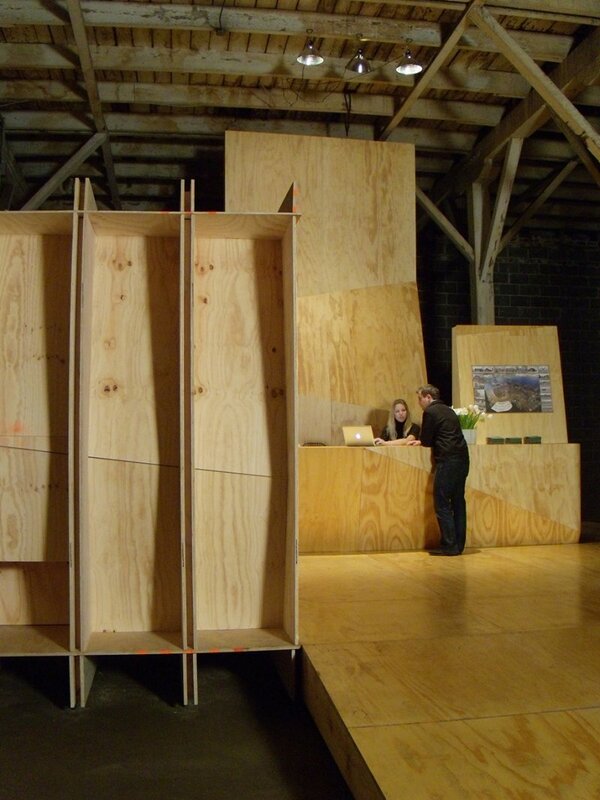 The design was inspired by the shape and scale of shipping containers, a nod to the significance of the port to the city’s economy and a reference to the nature of delivery for much of the art exhibited for the biennial. Due to constraints of time and budget – the entire project was designed and constructed in 6 weeks at a total cost of $28,000 – a single construction material was selected that was both inexpensive and readily available. 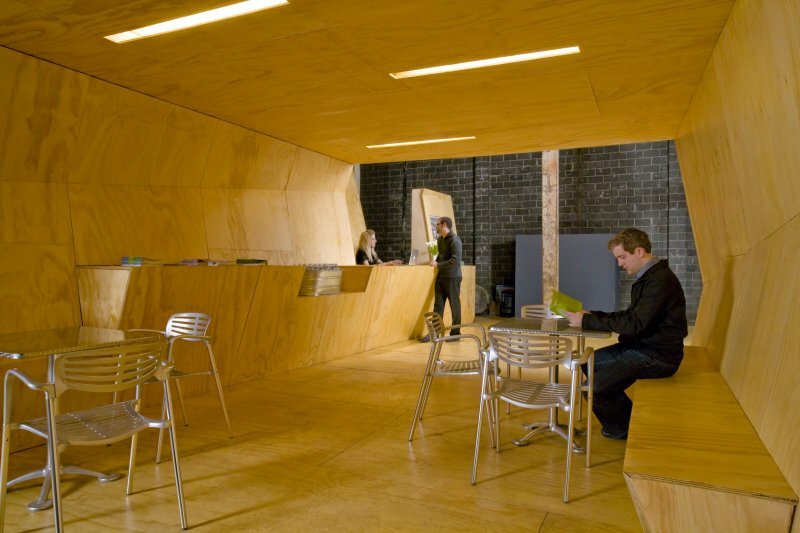 Utilizing construction-grade plywood as floor, wall, ceiling and structure, the internal form was manipulated to provide a hospitality desk, display counter, refreshment center and seating bench for visitors.